She’s a hot-rod F16 fighter pilot. She’s pregnant. Her career in the sky is over. Now, she sits in an air-conditioned trailer in Las Vegas flying remote-controlled drones over the Middle East. She struggles through surreal 12 hour shifts far from the battlefield, hunting terrorists by day and being a wife and mother by night. 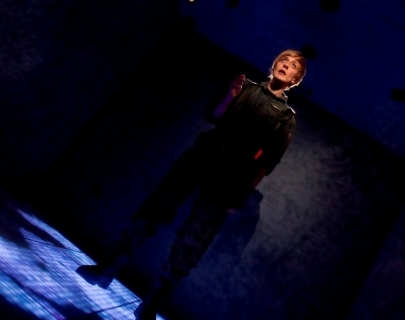 Winner of a Fringe First award (2013), Grounded is a gripping, compulsive new play that flies from the heights of lyricism to the shallows of workaday existence. This extraordinary play targets our assumptions about war, family, and what it is to be a woman. WINNER – BEST PRODUCTION AND BEST DESIGN, OFFWESTEND AWARDS. FRINGE FIRST AWARD WINNER 2013. 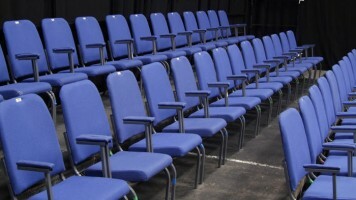 Please note: The show will be performed on a thrust stage with two rows on either side facing towards the stage. If you have any questions, please call Box Office on 024 7652 4524 and one of our Box Office Assistants can help you.